The Florida State Amateur Championship is one of the oldest and most prestigious amateur golf championships in the country. 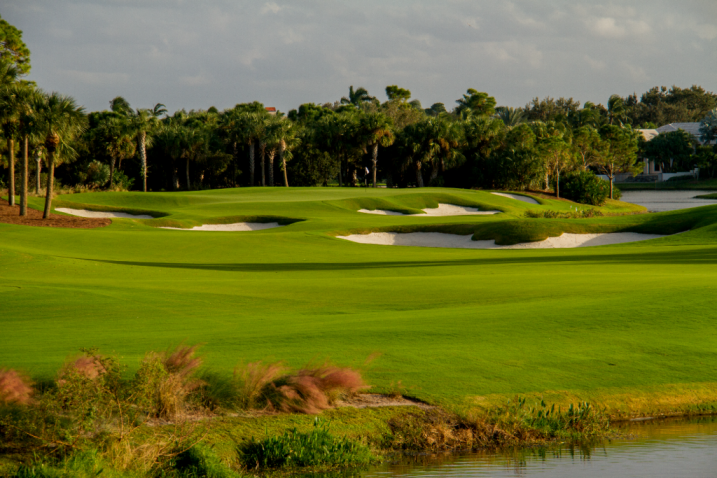 This year the Amateur will head to The Loxahatchee Club & Jonathan's Landing - The Fazio at Old Trail, in Jupiter. The Jack Nicklaus' Signature Design Loxahatchee Club went through an extensive renovation in 2015, and co-hosted the 2012 Florida Amateur Championship and hosted the 2014 Mid-Amateur Championship. The Fazio Course at Old Trail, was just redone in the summer of 2018 and will be give players an exciting fresh look at a local favorite as the companion course. The courses will be sure to provide a test to the top amateurs in the state! The Amateur Championship has a rich history dating back to 1913 with A.C. Ulmer winning the first of four titles. Other past champions include: Carl Dann Jr. (5 time champion & Hall of Fame inductee), Don Bisplinghoff (4 time champion & Hall of Fame inductee), Bob Murphy, Doug Sanders, Gary Koch, Jerry Pate, Buddy Alexander, and Blayne Barber. Click here for the past Amateur Championship results. Those individuals who advance to the Championship through qualifying must pre-register and remit an additional $135 either online at the FSGA website at www.fsga.org or by check to the FSGA office for advance payment of Championship Fees. Payment must be received by Thursday, June 14th by 3:30 pm, or the individual will be withdrawn from the Championship. Practice rounds are available one week prior to the Championship on a space available basis and after 12:00 PM the weekend prior. The cost of the practice round, including range balls and cart, is $35. Please call Loxahatchee Club at (561) 744-5533 and Jonathan's Landing Golf Club - Fazio at Old Trail at 561-744-8200 to book a practice round time. A player may not practice on the competition course before or between rounds. Penalty for first breach: General Penalty. Penalty for second breach: Disqualification. Palm Beach County Sports Commission is a proud Supporting Sponsor for the 102 Amateur Championship. $114 per room, per night, plus tax. Call and ask for "102nd Amateur Championship Room Block" or click here to book online. Must book by 6/7/2019 to receive rate.